An online action game that combines tactical shooter with elements of cRPG. Tom Clancy's The Division is a game made by Ubisoft Massive Studios in cooperation with Ubisoft Reflections. The game is set in a near future, when the United States is struck by a pandemic. Tom Clancy’s The Division for PC, PS4 and XONE is an action game with RPG elements that focuses on multiplayer. The production is branded with the surname of one of the most widely read authors of sensation novels, Tom Clancy, and is the initial installment of a completely new series based on his works. It is the first new Tom Clancy’s franchise in years, as well. It was developed by Massive Entertainment, known mostly for World in Conflict and the Ground Control series. Tom Clancy’s The Division was created under the aegis of Ubisoft, which brands a number of its games with the famous American author’s surname, including such popular franchises as Rainbow Six, Ghost Recon and Splinter Cell. Tom Clancy’s The Division for PC, PS4 and XONE focuses primarily on cooperative multiplayer, combining elements of typical third-person shooters with open world and some RPG accents. 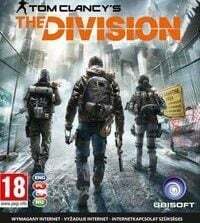 The players, who assume the role of the Division operators, try to contain the situation in a city overrun by panic, which in practice boils down to free exploration of the game world and undertaking lots of primary and secondary quests. Their most important element is dynamic combat. Its mechanics heavily resemble the solutions known from such games as Tom Clancy’s Ghost Recon, offering opportunities for tactical maneuvers and hiding behind covers. Tom Clancy’s The Division for PC, PS4 and XONE is powered by the proprietary Snowdrop engine that delivers impressive graphics on all platforms. According to the developers’ announcements, virtually all visible objects are rendered separately, which translates into incredibly detailed game world, as well as a number of additional visual effects, such as air escaping from punctured tires, car bodies penetration, or completely different trajectory of bullet cases ejected from weapons. Tom Clancy&#8217;s The Division game guide contains a wide range of tips and descriptions of the most essential elements of the game. You will learn how to survive in a fallen American metropolis. Tom Clancy’s The Division Review: It’s decent, but where do we go from here? Tom Clancy's The Division was supposed to be a terrific game aiming to attract a new kind of players to Ubisoft. Ultimately, we got a mix of ideas that don’t always add up, and you can really feel that the game is missing something. It’s only a few weeks now until the release of Tom Clancy’s The Division. The game is almost in its final shape, and we attended a special event where we could see how much the game resembles what the creators promised us in the first place.